At the BAFTA Film Awards 2018 we saw that only 20% of the winners who accepted the much-coveted masks were female and at this year’s Oscars, only 15%. These awards recognise brilliance within the film industry and their influence send cultural repercussions across the world. According to Women In Film And TV, a UK based organisation created for women working in creative media, in 2017, women comprised only 18% of directors, writers, producers, executive producers, editors, and cinematographers working on the top 250 grossing films. This represents only a 1% improvement on 2016 and is virtually even with the number achieved in 1998… 20 years ago! In 2010, Kathryn Bigelow became the first woman ever to win the best director award at the Oscars, for her film The Hurt Locker. This year, Lady Bird director Greta Gerwig became just the fifth woman to be nominated in the best director category for an Oscar…in its 90 year history. So how do we change this? 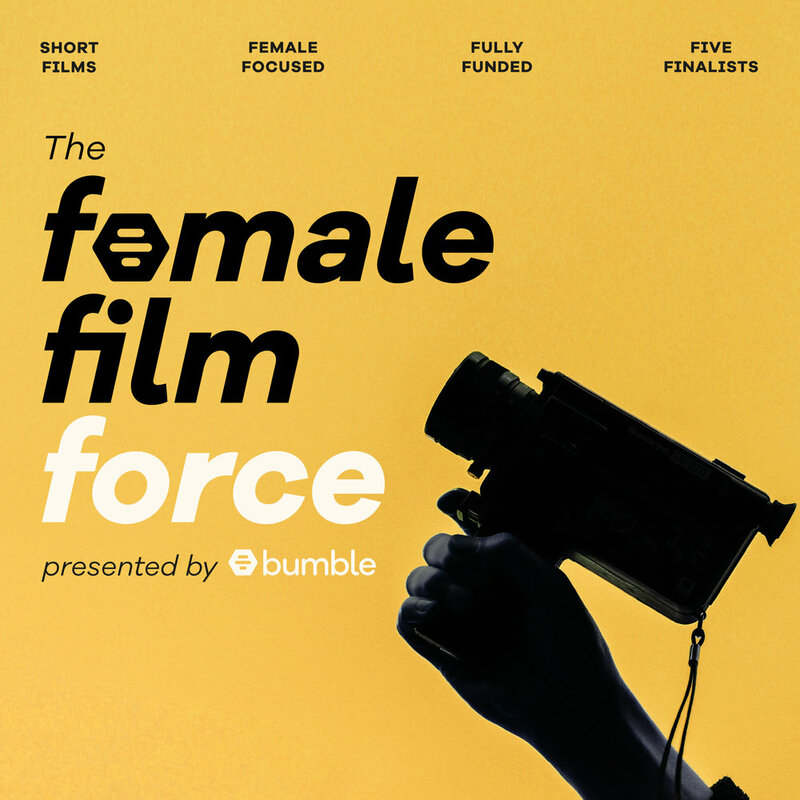 We are proud to announce Bumble Presents...The Female Film Force – the opportunity for five filmmakers (writer, directors or producers) to be granted £20,000 each to make a short film. Our final five films will embody Bumble’s values of female empowerment, equality and kindness. All you need to do to apply is go to the app and in Bumble Bizz or Bumble BFF match with the in-app card which will link you through to a simple online application where you will be prompted to outline who you are; detail any relevant experience and provide a summary of concept for your female focused film. A panel of industry experts will judge the submissions to find our five women ready to bring their stories to life. The panel includes Edith Bowman (Chair), Broadcaster and film expert; Kate Kinninmont MBE, Chief Executive, Women in Film & TV (UK); Ophelia Lovibond, Actor and activist; Georgina Campbell, BAFTA winning actor; Nicholas Pinnock, Actor; Helen Bownass, Entertainment Editor, Stylist Magazine; Emily Phillips, Features Editor, Grazia Magazine; and Louise Troen, VP International Marketing & Communications, Bumble. Applications for Round One will close on May 23. A long list will then be announced and those filmmakers will be asked to submit further materials to support their ideas. Ten women will be asked to pitch to our industry panel in July. The five chosen filmmakers will be announced the week of July 30 with films delivered in January 2019 and showcased at an exclusive industry event. Over the production period, our five filmmakers will also receive guidance from leading industry experts as part of a bespoke mentorship programme created in partnership with Women in Film & TV. Think you have what it takes? YOU'VE GOT 48 HOURS LEFT TO APPLY. Apply here or Download Bumble now to enter. Please reach out to press@team.bumble.com if you have any questions about how to apply.